The portion of a plant that connects the shoot to the root is commonly referred to as the collar region. An amazing thing can be noticed in most millets. 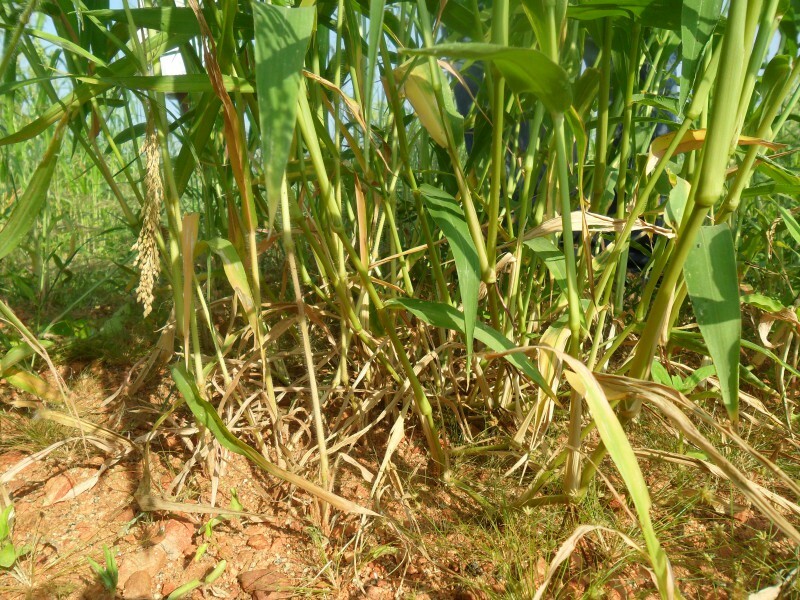 As the plant grows, the younger tillers push the older tillers further and further away from the central axis of the plant. At each node in their older tillers, new tillers branch out growing skyward. The parent tiller becomes more and more horizontal and its secondary tillers weigh it down further and further bringing it almost parallel to the ground. From each of the older nodes within these tillers, we see secondary roots being pushed into the ground to bring in the good stuff to grow the plant. Essentially, the older nodes in the senior tillers become a secondary collars ! Secondary roots being pushed at even the 4th node in a browntop millet plant (brachiaria ramosa, ढेंगली (? ), ಕೊರ್ಲು, అండు కొర్ర) at a farm near Kadiri, A.P. as captured in this photograph on 20th Oct 2015. 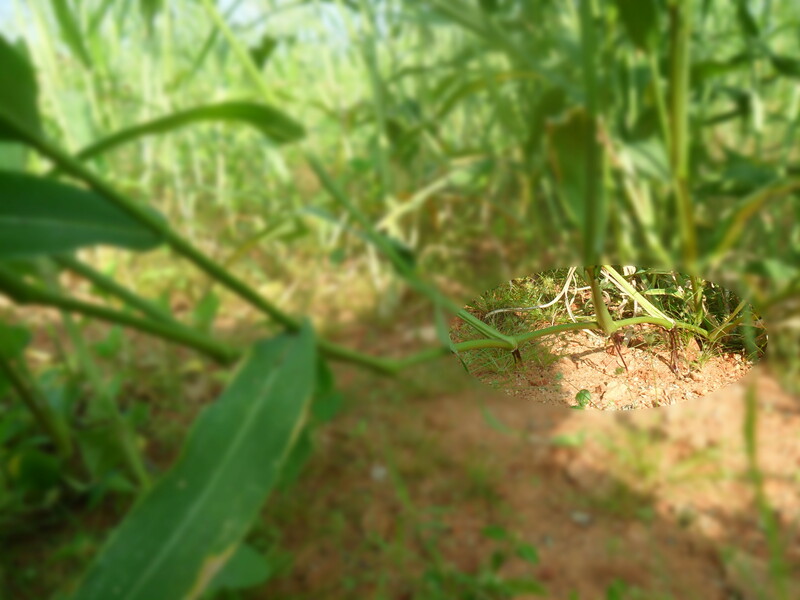 A flourishing Browntop millet plant (Brachiaria Ramosa) photographed in a Proso millet field near Kadiri, A.P. on 20th Oct 2015. I have seen this in Barnyard, Proso and Browntop millets and given their taxonomy I would expect that Foxtail, Little millets would have a similar behaviour too. While, I suspect that Kodo and Finger millets would be exceptions to this characteristic, I would be more than glad if I am proven wrong ! Posted on October 23, 2015 by DwijiPosted in UncategorizedTagged brown top millet, collar, millets, nodes, roots, secondary roots.